At this time in development, your toddler is experiencing new physical skills and abilities, such as running and jumping. 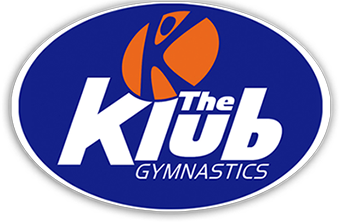 In this 45 minute class your toddler gets the opportunity to swing, jump, roll and experience the fundamentals of gymnastics through the use of our top of the line equipment and experienced instructors. 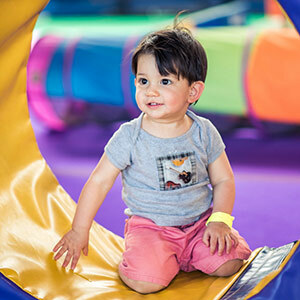 During this class, there are opportunities for structured activity, such as parachute time and our popular “ABC” time on trampoline, but in this environment your toddler is free to roam in a designated space designed specifically for their level of activity. There are many benefits in enrolling your toddler into gymnastics classes. Gymnastics aids in the development of the vestibular system. The vestibular system is our “movement and balance” sense. It is also involved in the inhibition of emotion and emotional regulation. It helps us keep our balance, use both sides of our body at the same time, and aids in feeling the direction and speed of movement. The vestibular system is a big part of our daily lives. Another benefit of involving your child in this class is the opportunity for socialization. Your toddler will have an opportunity to share props and participate in group activities, which helps with social learning. In this class, parent participation is required. Your role is to help introduce the child to the equipment while the instructor entices the child to try new skills. You are responsible for your child at all times. It is highly recommended that the child start in this class if they are under 2 and a half, and new to the program. Allowing the child time to gain trust, comfort, and confidence in the space and instructors is essential when moving them up to the next level of classes. Your child's first class will be a FREE trial and there is no obligation to pay unless you decide to enroll after their trial class.